batch reaction method for transesterification, yielding a consistent product with generally better cold-soak performance and combustion characteristics than their competitors. The company operates in the following markets: fleets, marine, agricultural, bulk blending, commercial and retail sales. 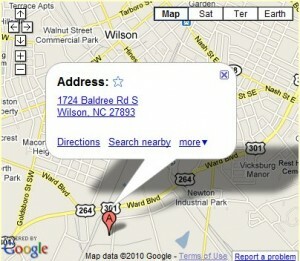 TBI was established in 2005 with its current operations located in Wilson, NC started in 2008. At TBI, we’re committed to making a clean, renewable fuel called biodiesel that is recycled from used cooking grease. We believe that biodiesel, unlike many other “alternative fuels”, is a drop-in solution to our dependency on foreign oil. Biodiesel is here now. It requires no engine modification, no new fueling infrastructure, can be blended in any ratio with diesel fuel, and used intermittently if desired. Just simply pour it in, and it works. Biodiesel creates jobs, keeps money and natural resources here at home, and provides a cleaner burning alternative fuel that is produced right here in America. 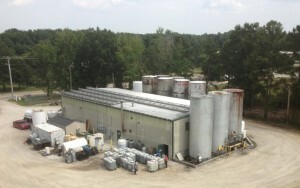 We are the largest biodiesel producer in North Carolina. For More Information – If you would like more information about biodiesel, please contact us to request a brochure on biodiesel for use in your vehicle, generator, equipment, or oil heating system. Biodiesel Presentations – If you are interested in contacting us to speak at a school, civic or social club about biodiesel, and are in the North Carolina area, we would be happy to do a free PowerPoint about biodiesel and it’s use for up to a one hour presentation. We even bring samples to view! Sponsorships – Sorry, but we are committed for advertising and marketing sponsorships. Factory tours – Sorry, due to insurance requirements we no longer offer factory tours of our facility to the public. Product Samples – Yes, we sell 16oz product samples in plastic bottles for individuals interested in seeing what 100% biodiesel looks, smells, and burns like! Contact us to request a sample. They are $5.00 per sample and we will ship for $3.00 to anywhere in the US or Canada.